In addition to the real battle there's a PR war with Turks and Kurds seeking to woo Azeris and Armenians, respectively. As Turkey’s military intervention in Kurdish-majority Afrin, Syria, entered its third week, a parallel public relations battle has raged on airwaves and social media, with varying messages tailored to Armenian and Azerbaijani audiences. The Kurdish Democratic Federation of Northern Syria, which has administered the Afrin area since the start of the Syrian Civil War in 2012, and its People’s Protection Forces (YPG) have accused Turkish forces of a variety of abuses, including killing civilians in air strikes. Kurdish forces released a video showing members of a Turkish-allied Syrian militia abusing the body of a dead female YPG fighter. The YPG also tried to portray itself as victorious on the battlefield, publishing dozens of recordings of its forces successfully targeting military vehicles of the Turkish forces and its allies. The Turkish government, in turn, tried to present its fight against YPG – effectively a branch of long-time enemy number one, the Kurdistan Workers’ Party (PKK) – as a battle against the Islamic State (IS). Turkish officials accused the YPG of indiscriminate rocket fire into Turkish border towns and claimed that “utmost care and sensitivity” were taken not to harm civilians, highlighting cases of Afrin residents being “thankful” for actions of the Turkish forces. As Turkey and the Kurds battled for international public opinion, there were several examples of more specific signaling to the publics in Azerbaijan and Armenia. Goksel Gulbey, head of the Turkish Association that Struggles Against International Baseless Armenian Lies (or ASIMDER for short), claimed that Kurdish forces were receiving help from Armenia – particularly from among its Kurdish Yezidi minority – though it didn't furnish any evidence to that effect. The YPG, for its part, sought to highlight its affinity for the Armenians. 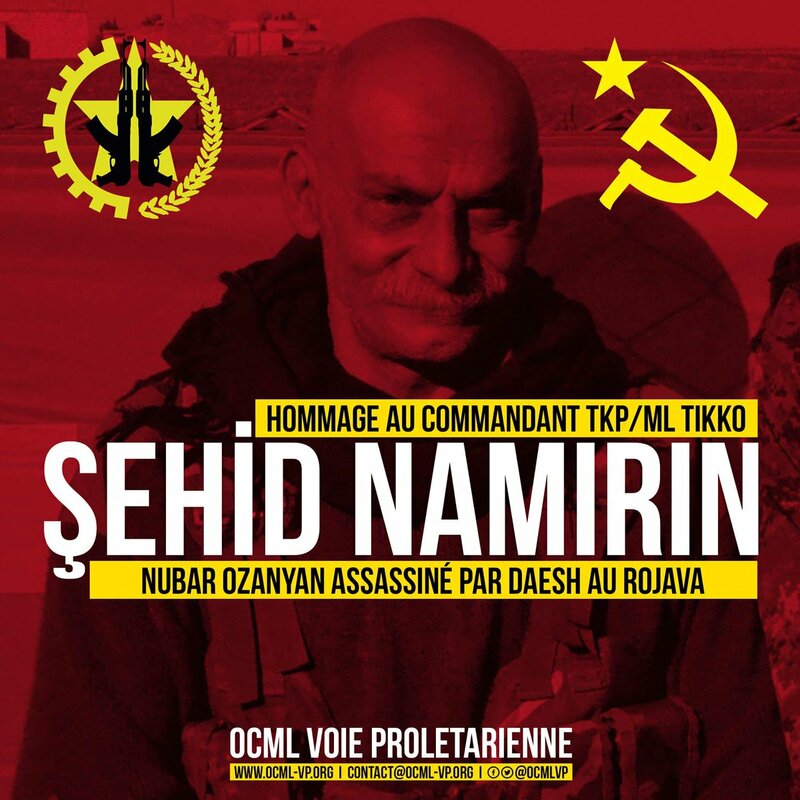 Last year, Kurdish fighters put on events and produced films dedicated to veteran leftist guerrilla Nubar Ozanyan, a Turkish-born ethnic Armenian who was killed fighting for YPG and against ISIS in Raqqa in August 2017. Ozanyan’s obituaries highlighted the fact that Ozanyan, nicknamed General Mardakert, also fought in the Karabakh war in the early 1990s. Since the start of the Afrin fighting, local officials highlighted the cases of the few ethnic Armenians still living in Afrin killed or injured in the Turkish bombing. Northern Syria, particularly the city of Aleppo, used to have a large Armenian community, descendants of the Armenian genocide in Turkey. Earlier this week, a Facebook account associated with the YPG published a video of its female fighters dancing to a traditional Armenian song, drawings thousands of viewers, many with Armenian names. While on social media Armenians and Azerbaijanis could be seen cheerleading for Kurds and Turks, respectively, official reactions have not been as enthusiastic. A spokesman for Azerbaijan’s foreign ministry issued a statement offering generic support to Turkey’s fight against terrorism. The Armenian government issued a general statement of concern over the escalation in fighting and reacted to reports of ethnic Armenians injured or killed in bombing.